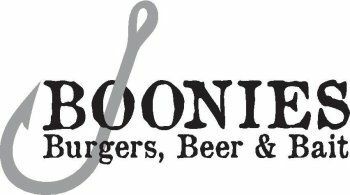 Boonies Restaurant and Tiki Bar is located in scenic Tyaskin, Maryland. Surrounded by large pine trees that shade the spacious deck and outdoor area. There is even an outdoor fireplace with lounge area for the chilly nights. Chalkboards feature daily specials of FRESH CUT Certified Angus Beef steaks, Fresh Seafood and more! Offering live entertainment on the weekends and special events throughout the summer season. This "One Stop Shop" has a newly added Bait & Bottle Shop. When you're heading out on the water, stop in for supplies, cold beer, and delicious carry out. Offering Delicious Food, Refreshing Drinks, & A Friendly Staff! The menu offers a wide variety of options. Using only the freshest ingredients available, the menu offers a variety of appetizers, fresh salads, creative sandwiches, juicy burgers and hand-tossed pizzas. There is surely something to please everyone’s tastes. "Like" us on Facebook and get our entertainment schedule updates!